Medical and other health professionals dealing with diet and nutrition are keen to stress that their advice is firmly evidence based, backed up by properly conducted research. It’s the thinking behind the proposal to make Weight Watchers available on the NHS. But an investigation by one of our contributors Zoe Harcombe has discovered that there is no evidence supporting the most fundamental principle behind the advice they have been giving for decades about weight loss. In a post that has just gone up here, she describes in forensic detail what happened when she approached the seven top government and dietary organisations in the UK and asked them for the evidence supporting their claim that all you have to do to lose weight is to eat fewer calories than you expend in energy. Their response was almost unanimous: “We have no information on this.” For the full details of her personal survey see the link above. Her question was based on an official leaflet from the BDA (British Dietetic Association) saying that: “One pound of fat contains 3,500 calories, so to lose 1lb a week you need a deficit of 500 calories a day”. Zoe was curious to know where this came from and what the evidence for it was. Intuitively it didn’t make sense, as it implied that she could cut back by 1,000 calories a day and weigh 6lb in a year’s time! Actually 6lb in less time than that, as 104lb of fat alone should have been lost – more on top in water. So like one of those clear-eyed children whose questions can be hilarious and devastating to adult pretensions, she asked a number of them the same question: what was the rationale behind the statement about needing to have a deficit of 500 calories a day to lose 1lb a week? The BDA replied: Unfortunately we do not hold information on the topic.” They suggested she contact a dietician. Already this was getting surreal – the members might know but the governing body didn’t. Shortly after she attended an obesity conference that was full of dieticians discussing how to help people to lose weight but they blithely confessed they didn’t know either. One did say: “You’ve made us think how much we were just ‘told’ during our training, with no explanation.” This is a revealing glimpse of how this “science based” system is taught. Now this should have been a disaster for the whole dietician’s tribe. The mechanical plumbing model of weight loss – inflow must be less than outflow – is not some arcane technical point but the bedrock of all official weight loss advice. Last month (May), for instance, NICE recommended that the NHS should pay for obese patients to go to 12 week commercial weight loss programs such as Weight Watchers. And what advice would they get? So what exactly happened when Zoe slogged round the august dietary bodies in search of an answer to her wide eyed question? The ASO also provided some more details of the theory showing the mathematical calculations that get you from the 50 calorie biscuit to five pounds a year and claimed that “this has been supported by numerous studies.” But when Zoe wrote again and asked for just one of them, she got no reply. There are two glaring reasons why this provides no evidence for the calories in/out theory at all. First because the whole point of a formula like this is that it is precise. That is what the biscuit example tells us. One fewer biscuit a day equals 2.3 fewer kilograms in a year. Not 2kg fewer, not 3kg and certainly nothing about the possibility that some might lose 50x more than others. The NICE data contained 15 more similar studies but none provided anything like evidence for the promised precise and consistent relationship between calories consumed and calories burnt. In all there was a wide range of results and the actual weight loss was far less than the theory predicted. In one case the gap between the amount that should have been lost and the amount that actually was, was 65 kilos. By this stage of Zoe’s account of her simple search for truth I was totally convinced that this was a dead theory, one with a stake through its heart and shot with a silver bullet. But she is nothing if not dogged and thorough. What I haven’t made clear so far is that Zoe carried out this personal survey nearly five years ago and while it is shocking that the dieticians’ attempts to support one of their key theories was so feeble, what is far worse is that confronting them with this failure has resulted in absolutely no change in the advice they continue to give to the public. In fact as the latest decision about Weightwatchers shows that dietary experts now plan to apply this zombie theory to thousands more patients at public expense. If the vociferous and aggressive sceptics lobby impartially applied their charge of “quack” to anyone selling non-evidence based treatments, they would have descended on the BDA, Nice, NHS and the rest and the rest long ago. Zoe describes her feeling at the ability of these bodies to simply ignore this fundamental failing as: “incredulity that they still get away with spouting this nonsense. If an “evidence based ‘ system is to mean anything it has to abandon treatments when they are shown to be seriously flawed and then investigate new ones. There is a lot of reputations and commercial interests riding on the current appraoch, the only people missing out seem to be the patients. Jerome Burne is the editor of HealthInsightUK. He is an award-winning journalist who has been specialising in medicine and health for the last 10 years and now works mainly for the Daily Mail. His most recent book “10 Secrets of Healthy Ageing” was written with nutritionist Patrick Holford. He blogs at “Body of Evidence” – jeromeburne.com. 2015: Finalist for 'Blogger of the Year' award from Medical Journalists' Association. All of this is all well and good but dear Zoe has not actually come up with any sensible ideas apart from, eating Liver and sardines and eat real food as to how she would solve this problem. So Zoe ideas please – and just remember that not everyone has your finances! Otherwise, what point WERE you trying to make? Are you really being serious lola? The ultimate in sensible advice is to eat real food! Real food is nutrient dense. And one of the most nutrient dense of all foods is liver. Incidentally, it’s about the cheapest as well. So what’s with the finances jibe? If you can afford the processed crap, you can certainly afford real food. In fact, you’ll even have some change left. Well in reality what is Zoe Harcombe actually telling people to eat – steak , salmon and greens – her book says eat carbs but now she is telling people not to eat carbs. That is what happens when you have a maths graduate calling heself an expert! Oh Zoe tells you to eat liver which is probably one ofthe most unpopular foods and she hates it herself – practice what you preach!! It’s ridiculous to postulate that because individual weight loss varied the theory is disproved. People on diets cheat and lie, so just because they claim to have eaten 500 calories less per day doesn’t mean it’s true. Lots of people have lost weight by dieting, the problem is that most put it back on again once they stop. Whilst I’m all for eating whole foods and fresh foods, I have not heard any convincing alternative for weight loss programmes other than eating less calories than you consume. The point is that this was the kind of evidence that was being used by “we follow evidence based medicine” NICE to prove that the theory was correct. Your critique is obviously reasonable as far as food diary studies are concerned. Suggest you point the flaw out to NICE and join Zoe’s side. It is a pity that Zoe actually offers no practical evidence as practitioner speaks volumes. I would suggest she gets a qaulification in nutrition as a PHD will not do that! Organ meat is about the most healthy – and cheapest. Liver is one of my favourite foods. Zoe Harcombe has changed what she says you should eat – oh wow – have you never changed your views Iola? We live on a very tight budget, but don’t buy processed food and manage to eat meat (including steak), vegetables, eggs etc. If you buy ‘real’ food it doesn’t have to be expensive. PS Iona – I would tell you that kidney is good for you and you should eat it, but I can’t stand it myself. You don’t have to eat everything that is said to be good for you. I’ve spent most of my life dieting – I had TB knee in 1957 and my parents were told to keep me ‘heavy’ but it is only since low carbing rather than calorie counting that I’ve been able to keep off weight that I’ve lost. The point here is that theory is one thing but you have to be able to put it into terms that people understand. Zoe rambles on about this constantly – it does not offer any advice for people to use. If she was working with real people she would see that actually most do lose the equivalent of a pound based on a calorie defecit of 500 a day. There are enough studies that have shown this. Perhaps it has been over simplified but does it really matter in the bigger picture! We would be better spending this energy on helping people to eat better! 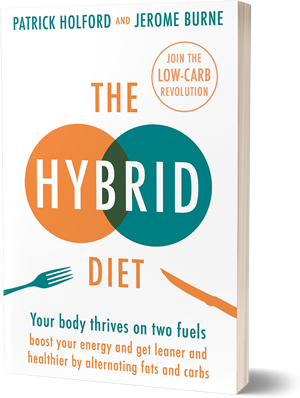 Zoe is playing to the low carb pack – maybe you should read her book and then you will see her diet is based on dodgy science!! “Most do lose the equivalent of a pound on the calorie deficit of 500 a day” – that’s not the picture that emerged from the NICE data that Zoe presented. What she was examining was a very specific claim made by dietitians (assume you are one). She showed, with supporting evidence that your tribe is not claiming something vague like: if you eat a bit less you will lose a bit. But that there is a precise calculation that you rely on and that none of your reprentative bodies were able to show what that claim was based on. What is impressive about Zoe is that she presents the data clearly and then argues from it. As a journalist with a smattering of nutritional information that is a far more impressive approach than your combination of vague assertions, recommendations about what she should do (work with real people) or totally unsupported attacks (her diet is based on dodgy science). None of these do anything to rebut her claims. I keep thinking that dietitians can’t be as adrift from the science as Zoe’s evidence strongly shows they are. But the more you wave vague insults her way and refuse to engage with anything specific the more it seems Zoe must be correct. Really Iola? Most people lose 1lb on a 500 calorie deficit? So say I did reduced my calorie deficit by 500 per week, every week, would I keep on losing 1lb per week, ad infinitum? Of course I wouldn’t. What would happen is that my body would slow down to a point where it stopped losing weight whilst making me increasingly hungry. When I eventually started eating again, my weight would rebound, and then some! We see this all around us. You’ve alluded to it yourself. People regain their lost weight with interest! What the calorie counters forget is that the human body isn’t just an engine burning fuel, but that different food stuffs have different metabolic effects on the body – even forgetting about micro-nutrients. It’s the metabolic effects that are ultimately responsible for chronic weight gain. Sadly, this can be seen <everywhere around us. And as for someone changing their minds by following the evidence, this is precisely how science works, or is supposed to work. A hypothesis is shown to be correct or otherwise. There’s no shame in changing one’s mind – that is the mechanism, that’s how science is supposed to work. All you need is an enquiring and open mind. Well obviously you would not be doing it if you were ideal weight!!! Although if you look at the what happens in illness where someone may be energy deficient they carry on losing weight! If you calorie count then obviously , again, you need nutrient dense food not junk. The main reason people are so overweight is nothing to do with low fat diets and government guidelines it is volume and type of food. My shopping trip to ASDA earlier highlights that – trollies full of junk and alcohol! I would almost agree with you but the main point is that people are overweight precisely because of government guidelines and a lot to do with low fat fake food. The problem is when you take the fat out of food (make it low fat) you have to replace it with something. That something is invariably sugar. When you eat real food you don’t have to worry about volume of food or calories, that takes care of itself – the body will regulate its metabolism accordingly without any insulin spikes. Without fat you would die. Without protein you would die. Without carbodydrate you will not only live but thrive. Since reducing calorie intake itself changes how many calories you burn and since how much this changes varies and since people’s calorie intake varies from day to day and so does their calorie expenditure, then the problem is not that calories in need to be less than calories out but that it is impossible to find out what these numbers actually are. Clearly there is truth in the statement that calories in must be less than calories used human bodies must follow the laws of physics. The people who make these statements, however, seem to think that simply typing in your stats into an online TDEE calculator will give you an accurate number of calories that your body uses each day. In fact it only gives a rough estimation. It’s just too easy to become fixated with calories and the balance of what’s expended vs. what’s ingested. It is far better to take ones curiosities and assumptions away from the human context and wonder what weight gain means to vertebrates and to land mammals especially. The capacity to gain weight through the sequestration of body fat is something that confers evolutionary advantage for times of food scarcity. Winter and the dry season put land mammals under food stress and it is at these times of food stress when reserves of body fat come in6o their own. So far as I can discern humans are the only species that count calories and yet still struggle with weight management and show a tendency to become obese. Other species, save for those humans tend to keep as pets, seem to maintain their fighting weight in the main, and wind up up in nice condition to face seasonal food scarcity, and they do not count calories. Even more persuasively humans who still ‘live in the wild’ in ways comparable with non-agrarian and non-industrial practice maintain a ‘fighting weight’ and do not suffer obesity, yet they have never heard of a calorie. I would discern form the above that counting calories is a less than expedient way to manage weight or avaoid becoming either fat or obese. The trouble is few humans can b4e sufficiently open-minded and dispassionate to truly detach curiosity and assumptions from the human context. We like to think that what we elect to eat and how much is under conscious control. It is and it isn’t. we do make conscious choices, for sure, but beneath those those choices important hormonal balances bear upon our actions, thoughts, and relationship with food. Hormones command more about our relationship with food than we credit. ‘In the wild’ the cues that influence key hormones that control a creatures relationship with food are such that preparing for winter takes care of itself. In summer a creature will consume 110 calories for every 100 it expends (by way of simple example) whereas in winter it will tolerate consuming only 90 calories for every 100 it expends. in winter it draws down on fat reserves and in summer it builds them back up again. It ain’t complicated, but the mystique is in how hormones command the process and how environmental factors influence hormones. The obese human is merely an example of a person whose hormones have been tricked into thinking its summer all year round. A plentiful supply of refined and white carbohydrate is often all the deception they need, but there are other factors that have significant bearing. Personally I think the 3,500 cals = 1 lb of fat is purely a rule of thumb to prove the energy in/out rule. Everybody’s metabolism differs, while my weight loss zone maybe an intake of 1,350 cals- 1,500 cals a day, another’s maybe 1,800-2,300 cals. Most weight loss diets fluctuate around the 1350-1500, so the person with a higher metabolism is bound to lose more when placed on a specific programme. We have proven this time and time again with The Diet Plate® and have found that weight loss varies drastically but all those who adhere to the Diet Plate do lose weight, control their diabetes and show great results for cholesterol. And I may add at a fraction of the cost of most programmes. But it just adds proof to the energy in/out theory. Diets do work, it is the adhering to, keeping it off and changing behaviour that is the tricky part. As for hormones, there is probably a case to be answered but not in the majority of the population who just make the wrong food choices and eat portion sizes fit for four. We have seen results in people with T1D, T2D and even a thyroid cancer case, where the person is still losing weight now using her Diet Plate®. And before you ask, the Diet Plate does have published clinical trials to prove efficacy in weight loss and to help control Type 2 Diabetes. Inbox me if you would like to see a copy. In advance of responding to Kay I need to satisfy myself that the ‘sub’ html tag will render correctly. .. and the html tag is not one that is allowed here. Ah, no matter. To be quite brief about matters, Kay, people do not become overweight without being hyperphagic (overfeeding) and the overweight cannot lose weight without being encouraged to become hypophagic (underfeed). Fats contain 9000 calories per kg, proteins 4000 per kg, and carbohydrates 4000. These are facts, for sure, but no facts have ever befuddled the mind of man in the run of history to the extent that these have. We too readily believe, and people too readily encourage others to believe, that reducing the quantity of fat in diet will result in fewer calories consumed. The truths are counter intuitive unless they are backed by knowledge of the premises that support them. I do concede that no statement will ever seem so counter intuitive to many as this, but insufficient fat in a diet is a compelling influence that will tend to encourage hyperphagia (but you will find exceptions because concomitant and confounding influences may apply). Then in contrast adequate fat in the diet is one of several influences that can counter tendencies towards hyperphagia and encourage tolerance of hypophagia. Calorie controlled diet plans such as the Diet Plate may provide a treatment and a means of weight loss in some, but they are not a lasting solution for all. They can successfully address a key player that has command of the state of weight gain or the state of losing excess weight. However they fall wide of target, in a sense, because thy do not specifically target the influences that have a bearing upon the key player. The key player is a hormone and the hormone is insulin. In a reductionist sense calorie controlled diets could be considered a success. But more elegant cause oriented concerns and directions could be offered that make concessions to the holists approach. In a holist setting the need to count calories stands as admission of failure. I think you could come to understand. However if you owe your living to selling the Diet Plate idea then that living may encourage faith in reductionist approaches while actively discouraging interest in the holistic outlook. Where obesity is concerned society has an expedient need to get to grips with cause, and the calorie counting approach fails to counter (at the level of society) whatever are the causes. Jerome’s article did not contend whether calorie restricted diets work individuals, but he did cast doubt upon their efficacy for the needs of society faced with rising rates of obesity. Key to this puzzle is recognition of what drives hyperphagia. Aspects of dogma prevailing today, coupled to a lack of will to take up with interest in the part certain hormones and hormonal balances play, are the man-made obstacles placed in front of what could otherwise represent relatively easy concessions to the truths in affairs. I have tried many diets in my day. In the days when saturated fat was vilified, I tried a low fat diet and calorie restriction with exercise. Wow, it worked. Down side…it did not last as I resented the calorie restriction and so did my body. I was starving myself. I then found that eating carbohydrates with a low glycemic index (ditching the sugary snacks, vegetables and carbs with a higher glycemic index, and wheat products with more processing) and not worrying about saturated fat decidedly worked the best. However, the aforementioned lifestyle, not diet, along with exercise at least 4 times a week at 25-30 minutes worked over the long haul. Why? Because saturated fat satiates one. Your body was mean to have it. You have to suffer if you need to lose weight. Your body may even resist weight loss or the change in your food choices for as much as one month!! That is where that willpower we heard speak of so much is your best friend. Your body gets into habits, too, you know. Once it knows you are not changing the plan, many wonderful things begin to happen. You will lose weight, you won’t have cravings, you can have a little sweet once in a while, but most importantly, your metabolism will begin to operate in a much more “normal” fashion giving you the energy nature intended for you to have naturally. The difficult part is that you will eat at home much more often to get the leafy greens or other fresh vegetables that you wash yourself, choose the meats and other products with little processing. Above all, you will have to avoid all the pre-packaged foods that contain God knows what, that injures your body, and step up to the plate (no pun intended) to eat right and moderately. Moderation is the key in all things. Once you get accustomed to moderation, your body will follow suit and will be healthy. You will maintain a good weight for yourself and I believe your body will begin to tell you what it needs. It has worked for me for many years and will continue to do so for many decades to come…I hope. Dear Jerome Burne, please use the correct scientific terminology. You seem to be discussing a hypothesis, and not a theory. Theories are proven scientifically sound ideas, peer reviewed and the outcomes of robust experiments based on the theory are reproducable over and over with great accuracy and precision. A hypothesis is an unprooven scientific idea that has little or no reproducable scientific evidence. Eg, cold fusion is a hypothesis. Paul thanks for your observation. I know there are some who would say that all scientific theories are actually hypotheses since that is the way science progresses. They are right and established until new data, new observations generate a new picture. Certainly dietitians would consider their account of how weight gain works is well established theory even though it isn’t even a viable hypothesis, so what does that make them? After strictly following the low fat diet for 20 years I finally found out how appalling the science behind the diet was. Overnight I largely cut out carbs and ate a higher fat diet. Plenty of eggs and full fat everything, carefully avoiding sugar. I quickly felt like I’d been given new batteries! I have much more energy and feel much more mentally alert. The boost I’ve received since abandoning the low-fat diet leads me to think that I’d been slowly starving my brain of essential fats. I’ve lost half a stone in weight without making any effort to do so because a higher fat diet is filling. I’ve read Lola’s contributions with some sadness. It’s just the same recipe that’s failed for thirty years. In that time, obesity has risen ten fold (2.5% to 26%) and diabetes nine fold. No hypothesis has ever been so well tested and failed so dismally. I wonder if Lola knows that from 1820 – 1977 all dietary advice was to avoid or minimise carbohydrates? Type 2 diabetics were successfully treated with a very low carb diet. Since all carbs are essentially glucose this makes abundant sense. Now we tell diabetics to eat plenty of carbs and their condition deteriorates, with absolute predictability. Foods with natural fat are filling and supress the appetite. It’s what we were designed to eat and did so before Ancel Keys’ disastrous guidance to avoid fat because of the false link to heart disease. Meta Analysis by Harvard and Cambridge have both exonerated saturated fat of having any link to heart disease. In every randomised trial low carb beats low fat or anything else. Keys’ disastrous work led us to eat a carb rich diet. It didn’t prevent heart disease but it did cause an explosion in obesity and diabetes. triggers an insulin response to store fat. The fluctuating blood sugar level tells us that we’re hungry and so we eat more carbs. So, the cycle continues. I think this is a more rational and sensible explanation for obesity than the ridiculous idea that we suddenly became lazy and greedy around 1980. Zoe Harcombe’s gives clear advice on what to eat and what to avoid. Lola clearly isn’t looking or doesn’t want to see. Harcombe is part of the solution and deserves great credit for her work. ALL we have in science are THEORIES for a reason. Theories are VERY OPEN to being WRONG.Sure theories have some supporting evidence, but then there remains the problem of induction and the underdertermination of theory. Look into CARNAEDES. Science ITSELF rests on some ASSUMPTIONS and DOES require FAITH. A theory is not just a hunch BUT STOP making it out to be more than it is- it is NOT proven by any means. Think I agree. Carnaedes? Are we talking Carneades of Cyrene? A skeptic Greek philosopher who lived about 100 years after Plato and so irritated people with rhetorical skills that Cato tried to kick him out of Rome for arguing one day for the Platonic and Aristotelian conceptions of justice and refuting his own arguments the next”? Thanks to Carnaedes.org for the information. Anil van der Zee: Fantastic piece. Thank you so much!! Encore! !